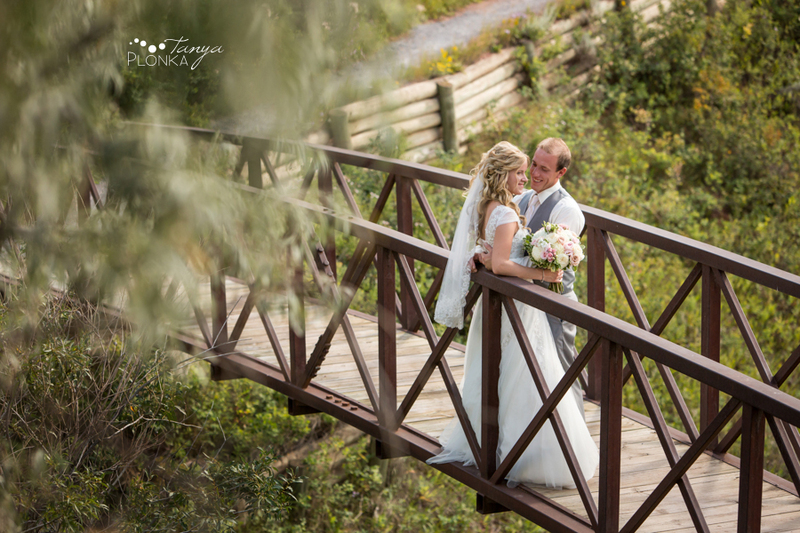 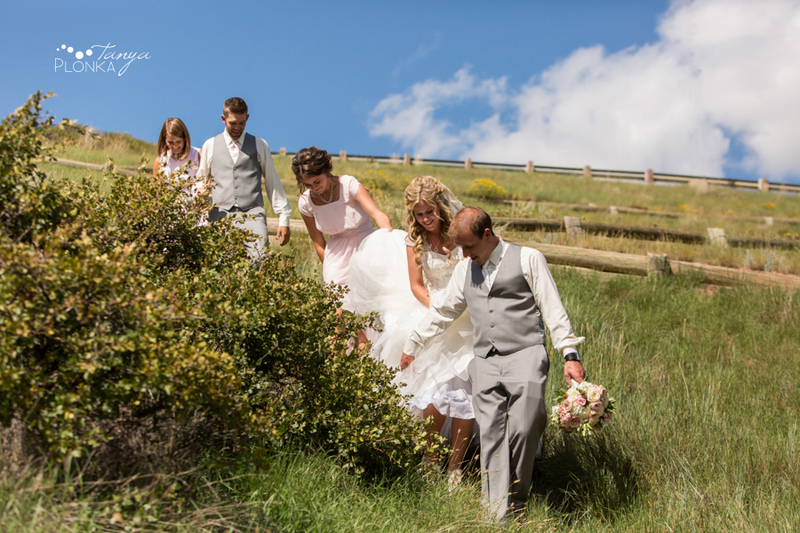 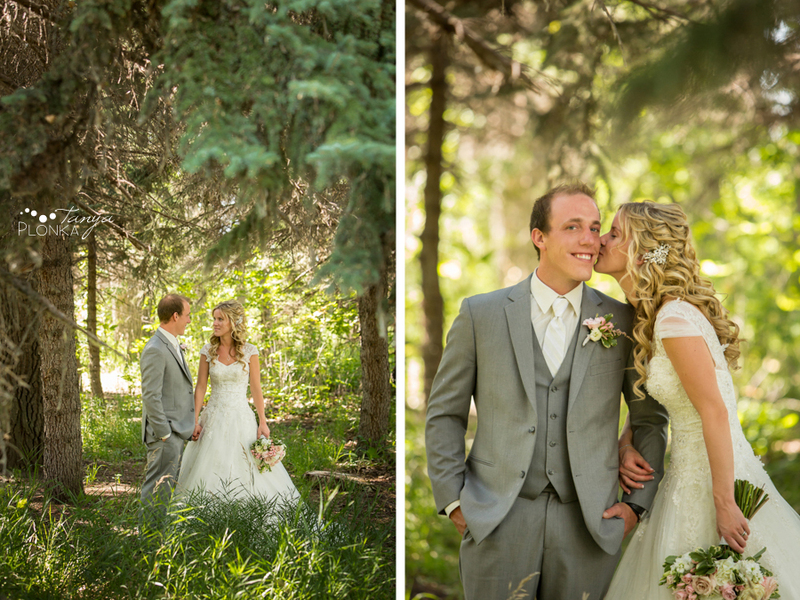 Janine and Travis chose a gorgeous day to get married and spent it with all the people who love them the most. 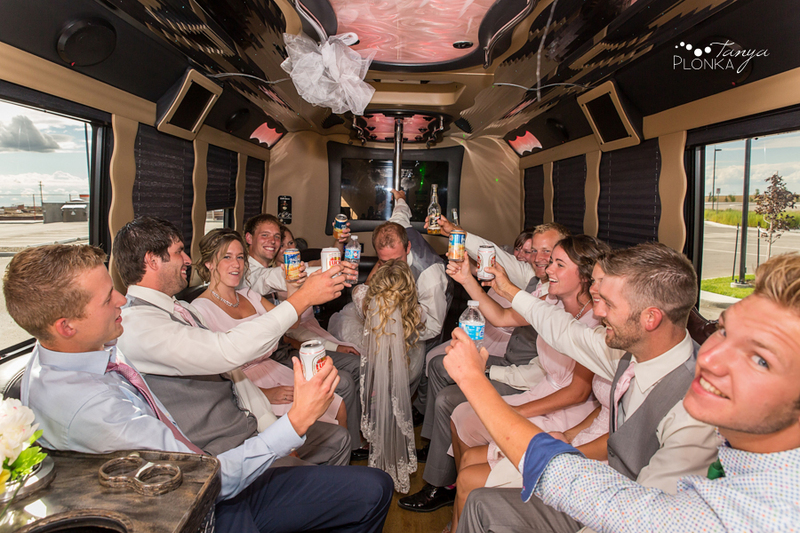 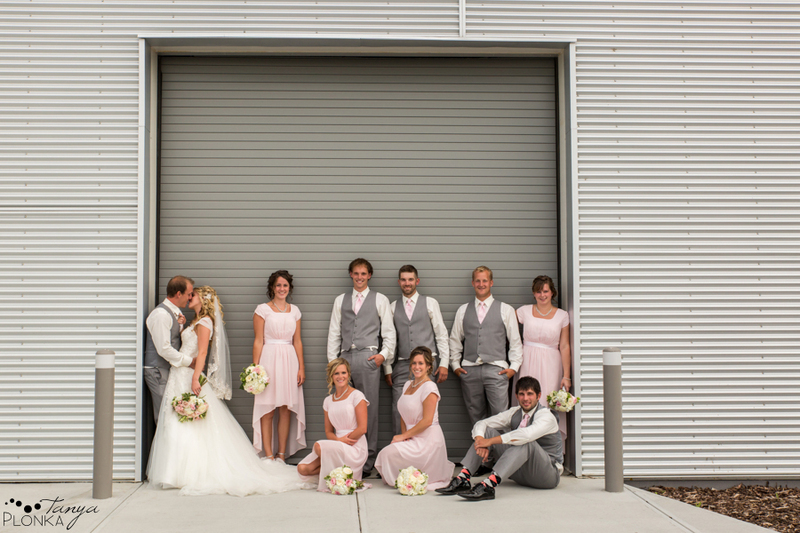 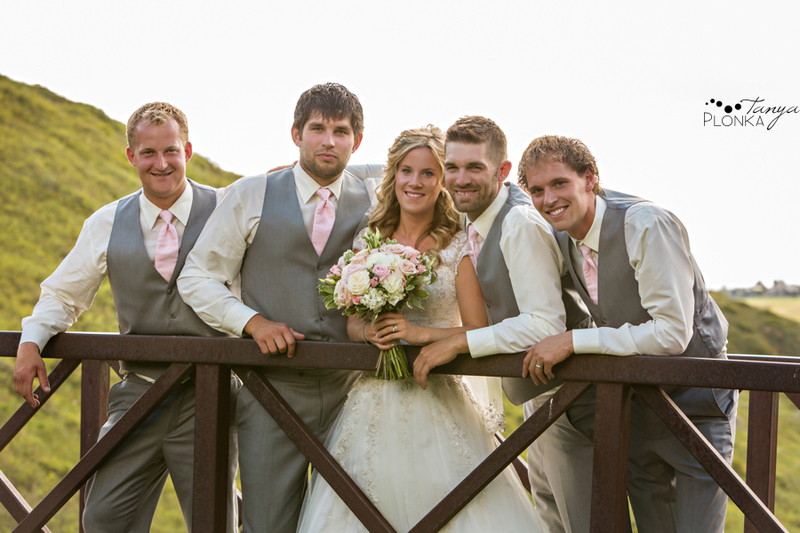 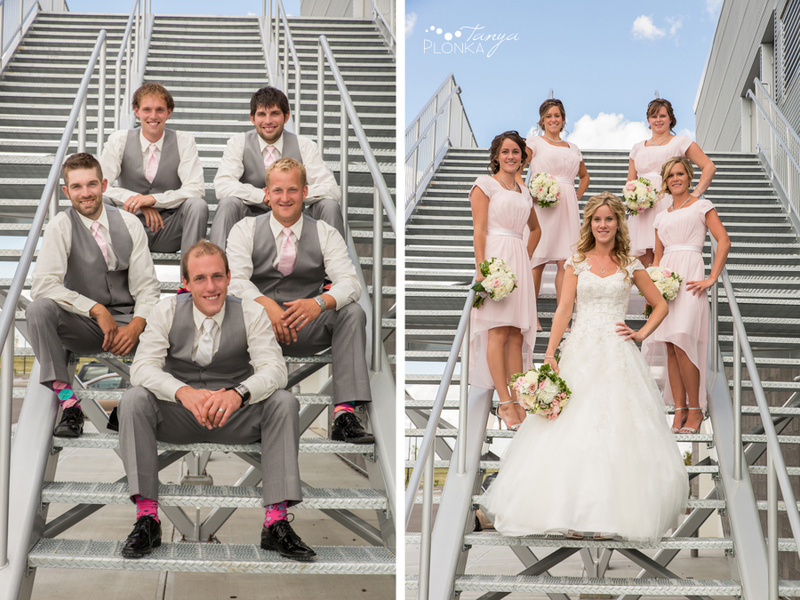 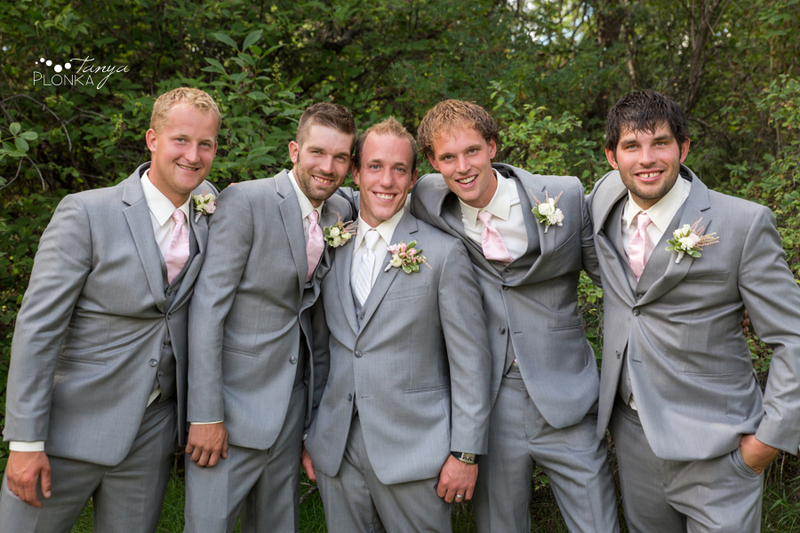 Their wedding party was so energetic and happy throughout the day, and always ready to help Janine with her dress. 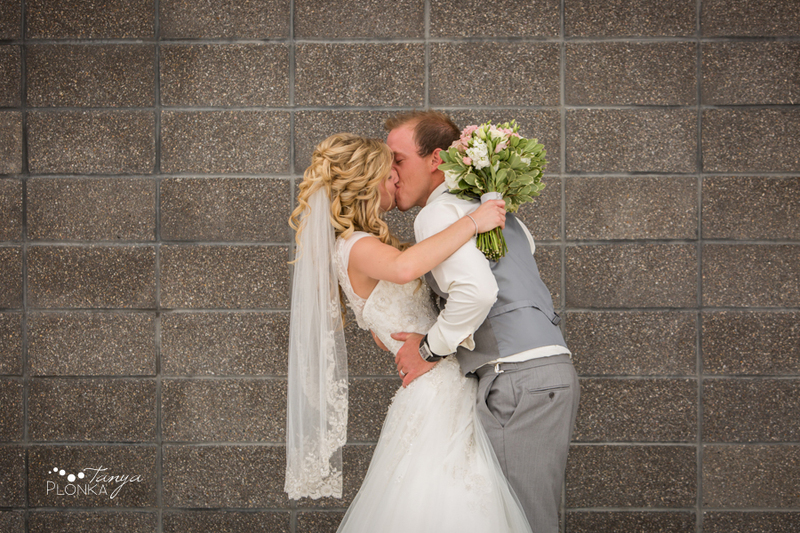 Janine and Travis are so passionate together and I had to be careful not to direct them too kiss too often, because it was hard to get them to stop! 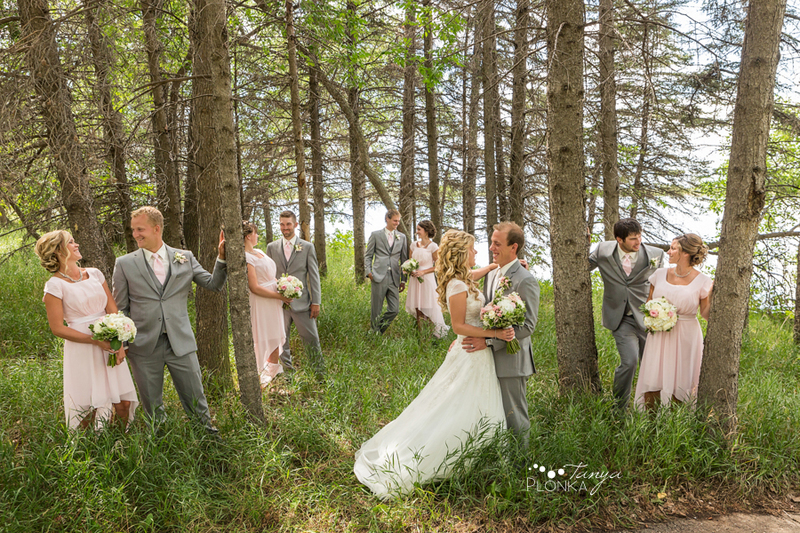 We started off the day with Park Lake summer wedding photos of them and their families. 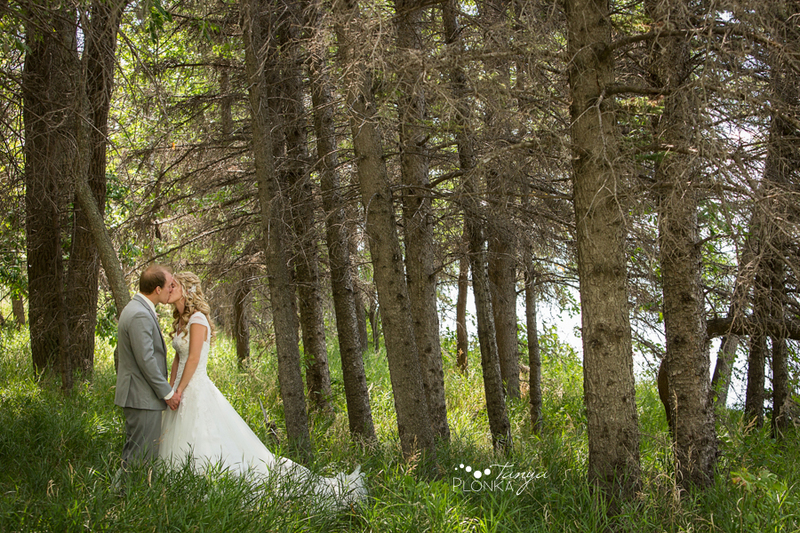 The lake was nice and quiet (except for the mosquitoes) so we got to have free reign of the place. 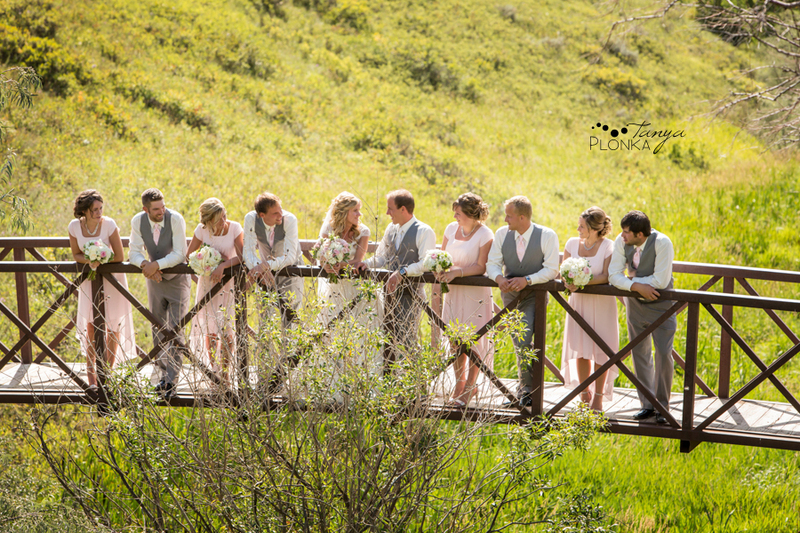 Everyone then piled in the limo to head to Lethbridge for photos in the coulees (I’m always so impressed with the ease at which the girls travel down in their heels!) 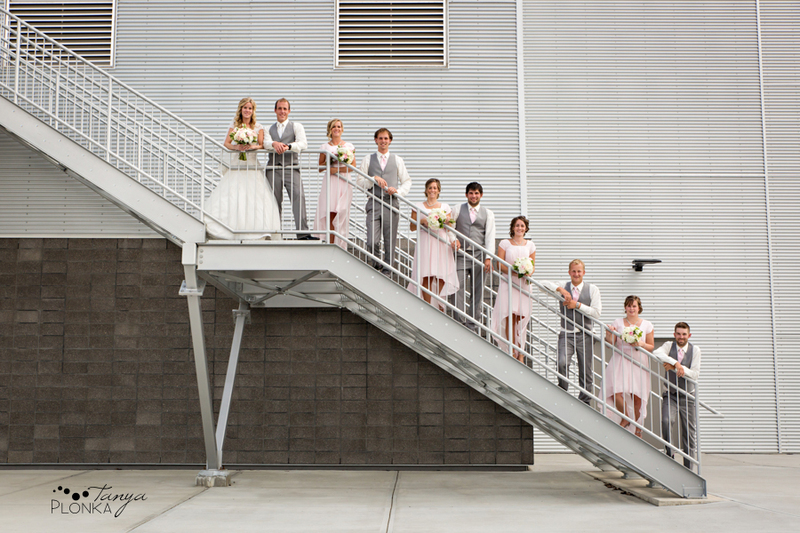 and some urban shots in Crossings. 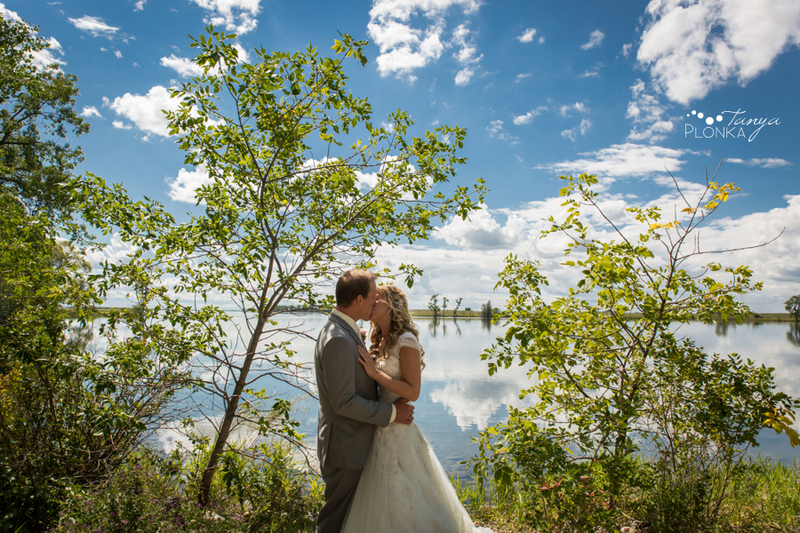 With all the rain this summer, it was amazing to get this blue sky and fluffy clouds! 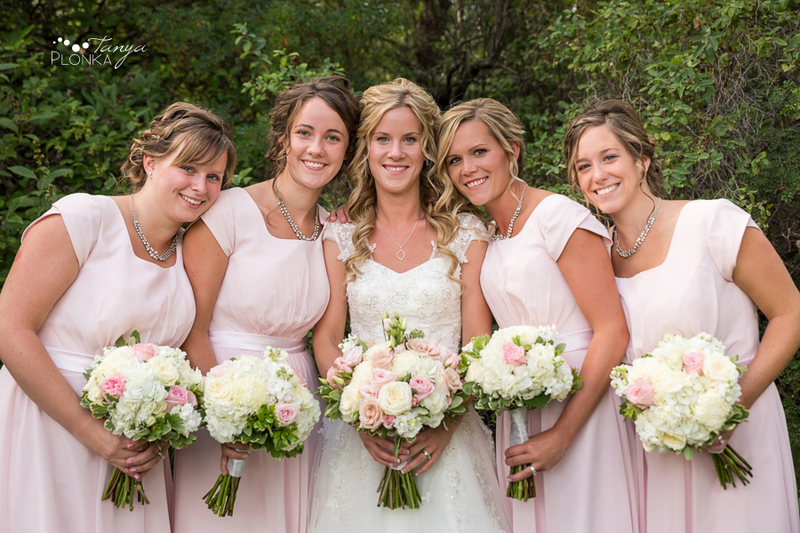 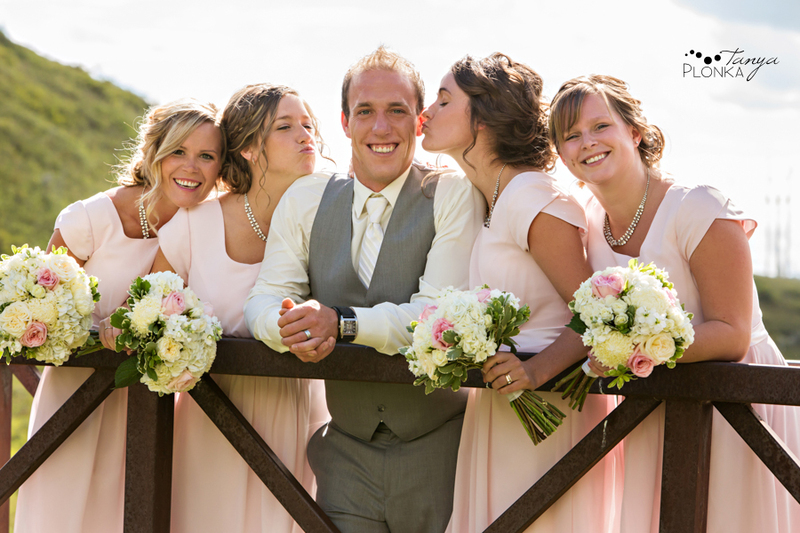 Her bouquet was created by the Bloomin’ Willow in Coaldale. 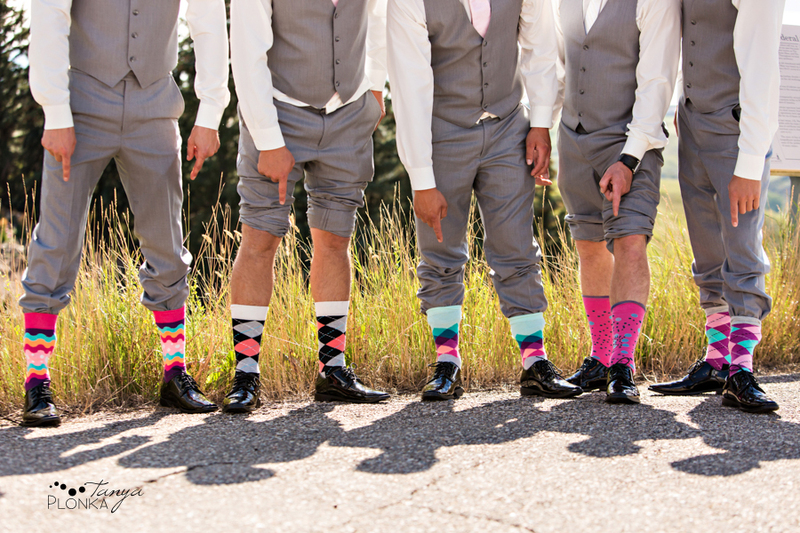 The guys each wore a unique pair of colorful socks. 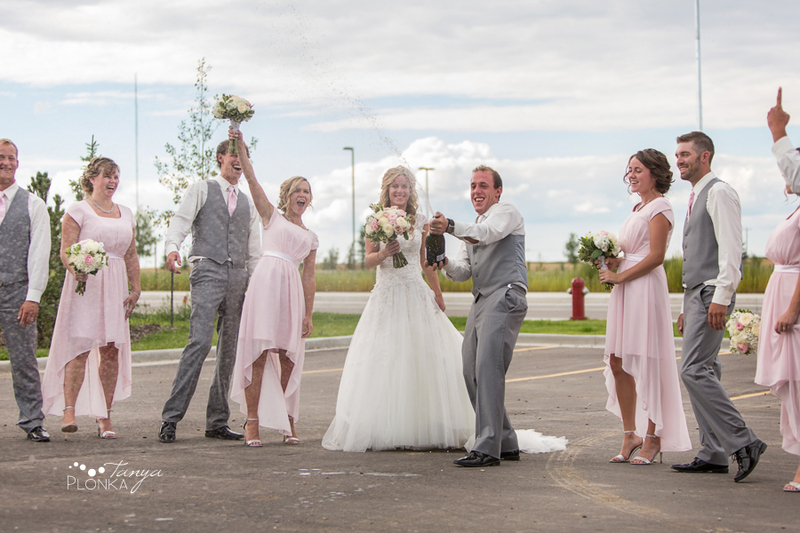 After they popped the champagne, I saw an opportunity for a gif! 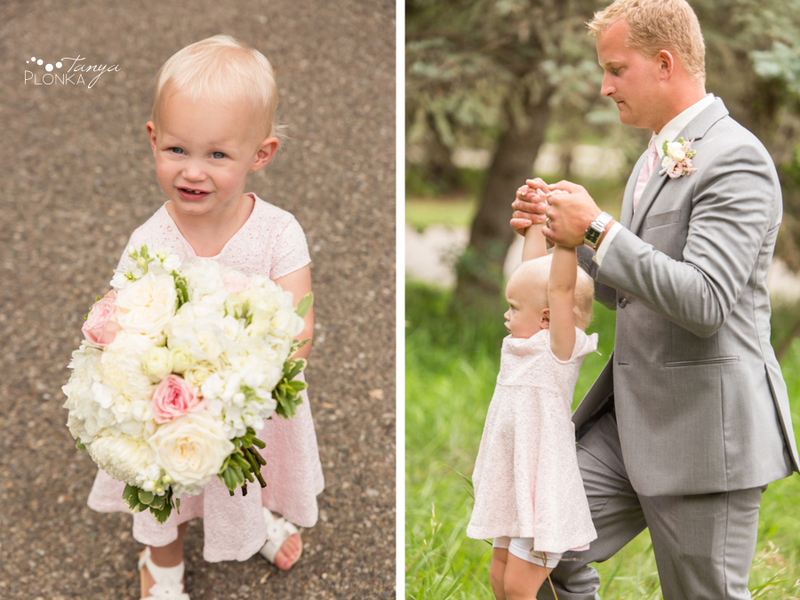 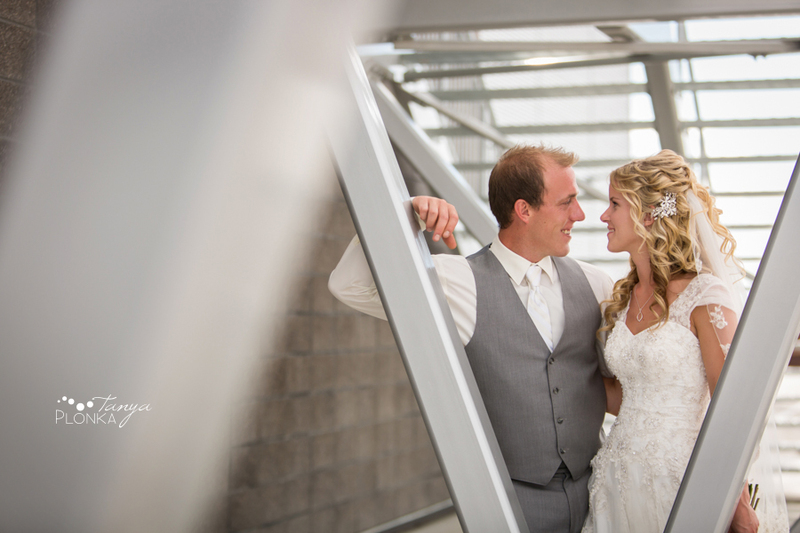 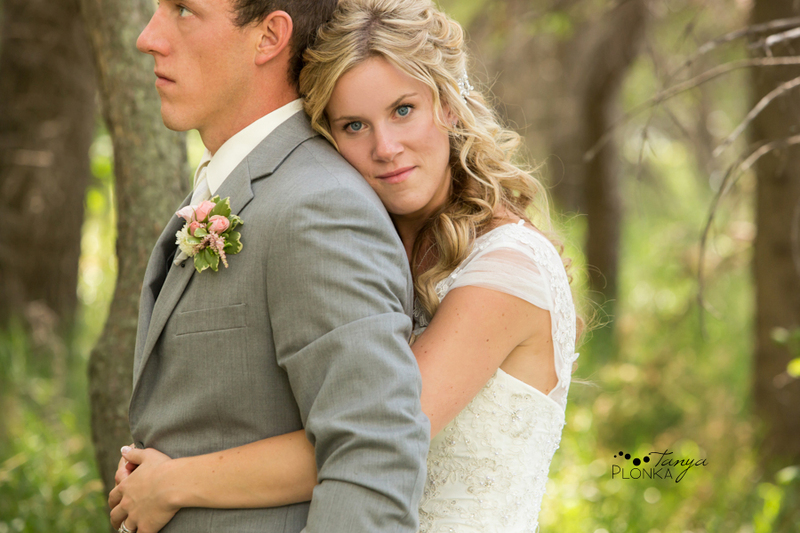 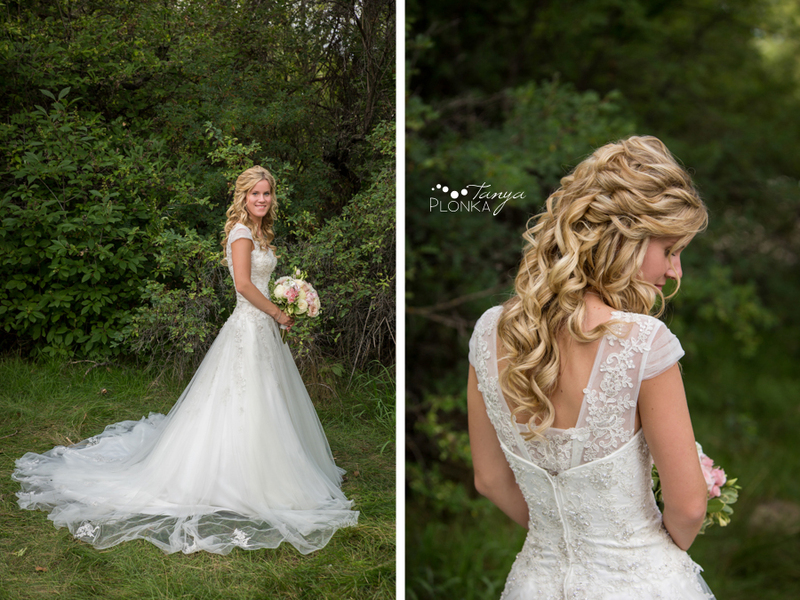 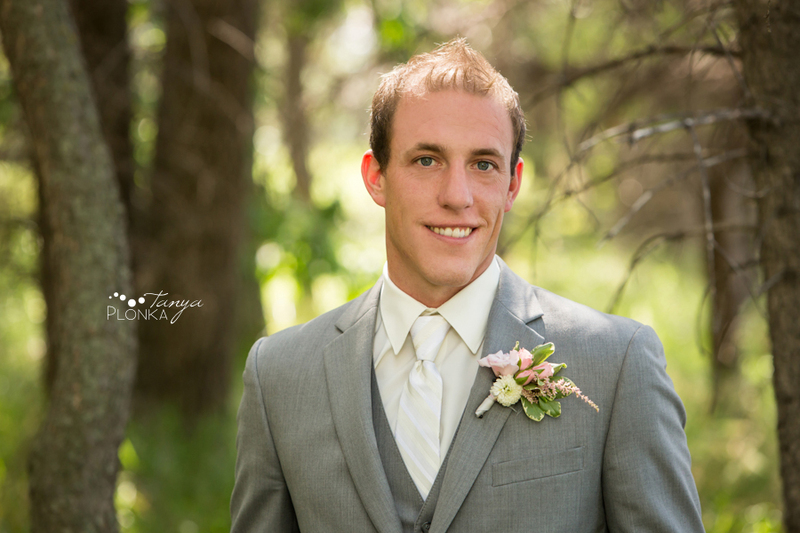 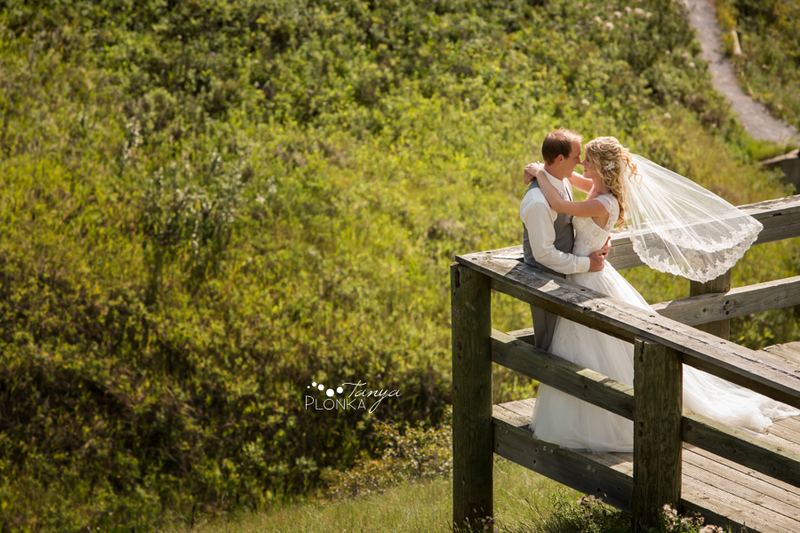 Photography by Tanya Plonka is a Lethbridge, Alberta based photographer offering wedding photography and full service portraits. 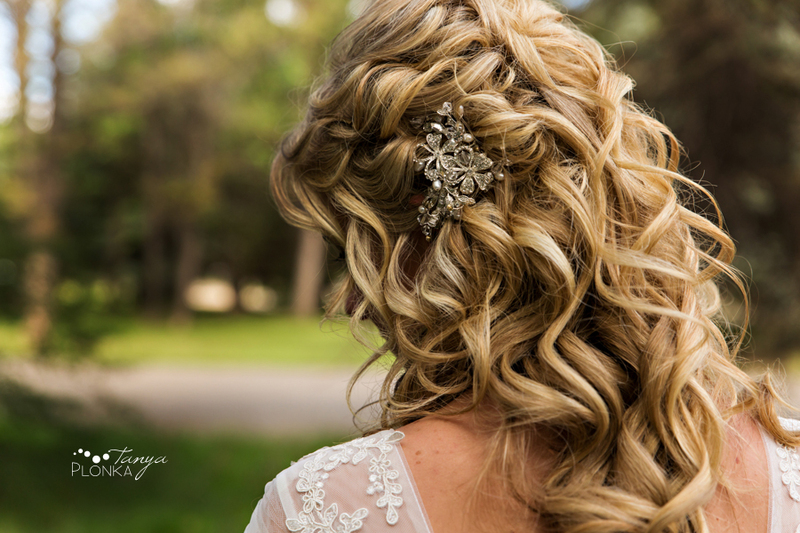 She photographs you with those you love, offering bold images with a unique and modern twist. 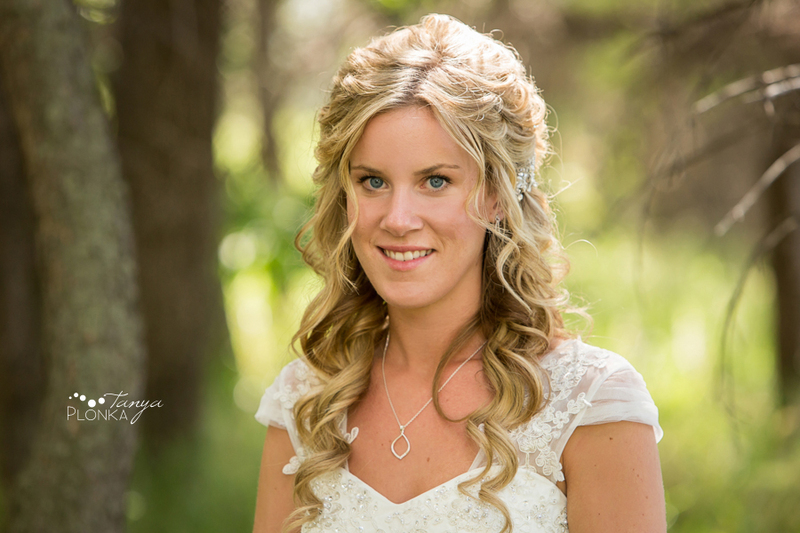 Voted 2017 Sun Times Best of the Best Lethbridge Photographer. 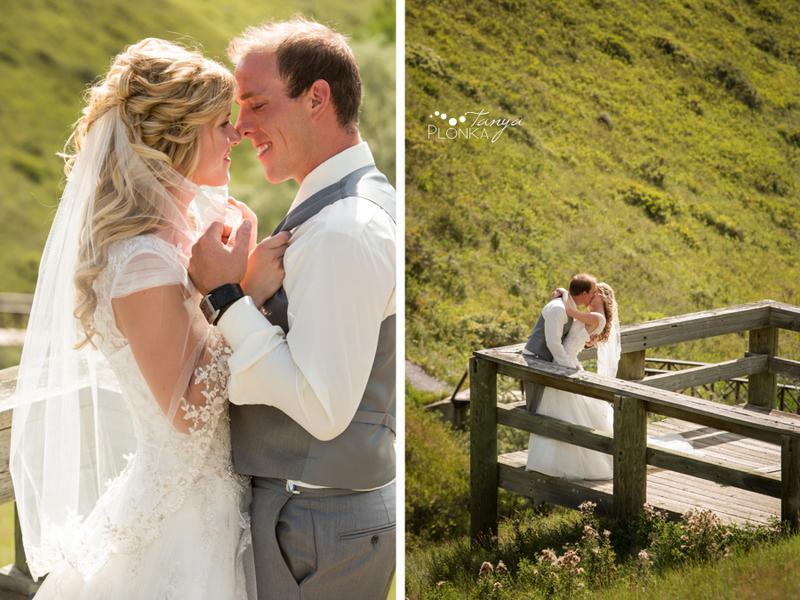 Tanya has had the pleasure of photographing wonderful people in: Lethbridge, Calgary, the Crowsnest Pass, Waterton Lakes Park, Edmonton, Lake Louise, Kananaskis, Canmore, Fernie, Pincher Creek, Castle Mountain, Fort Macleod, Cardston, Medicine Hat, and more! 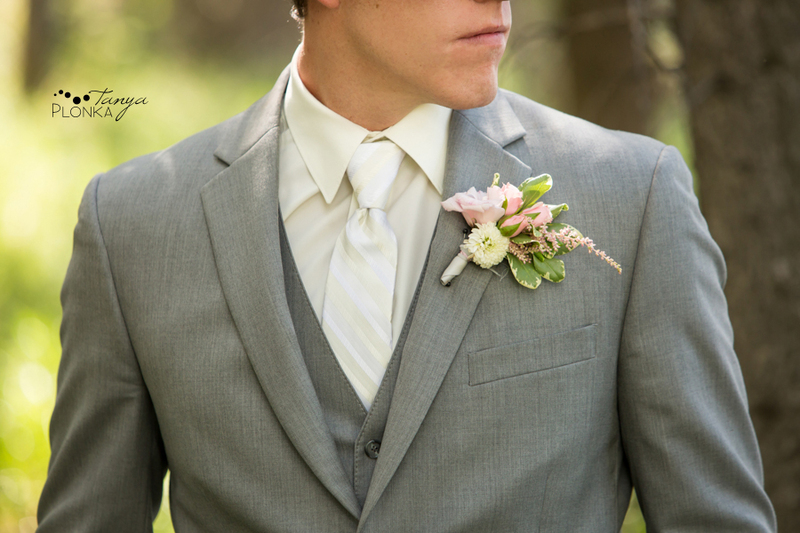 Want to hear about sales, special sessions, and new products before anyone else? 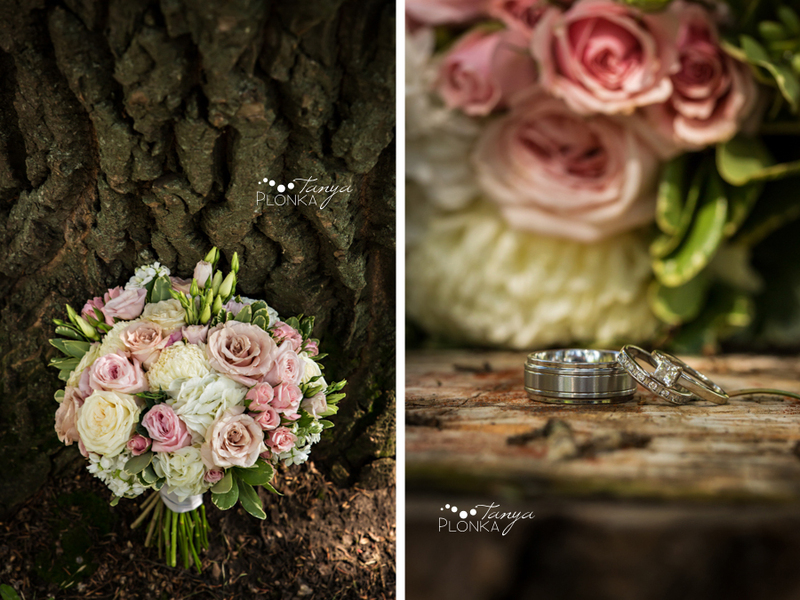 Copyright © 2019, Photography by Tanya Plonka.